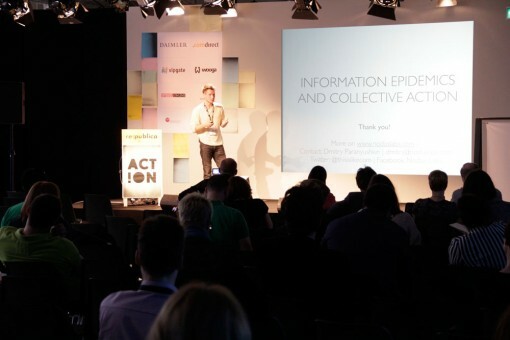 re:publica is “Germany’s largest and most prominent conference on the future of our society and all things digital”. This year’s theme is action and will focus on how digital technologies bring people together to affect social and political change. 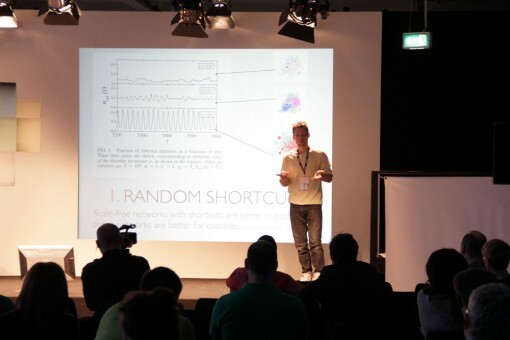 Here is the slide show and some photos from our session at re:publica conference that took place on the 4th of May 2012 in Berlin. A big thank you to everyone who came to the talk and for the interesting conversations afterwards! Large groups of people can drastically change their opinion, adopt a completely unexpected trend, come out to protest on a square, adopt a certain ideology, have an amazing time at a party, or start using a certain product on mass scale. While all these social phenomena are diverse, one thing in common is that they involve information dissemination that happens in a synchronized way, evoking a certain response from the population at once.In this re:publica session we demonstrated how epidemic theories from network science can be used to study information contagion and trend/rumor propagation (so-called information cascades). 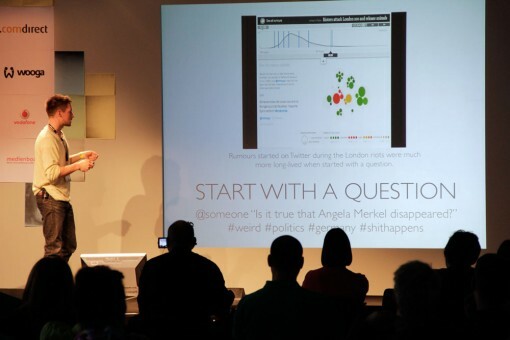 We will use real examples from Facebook and Twitter (Russian protest movements and UK riots), as well as Gephisoftware to visualise the sample data. We showed how successful campaigns (both in marketing, politics, as well as the social sphere) manage to become viral and to provoke a collective action on the side of participants. 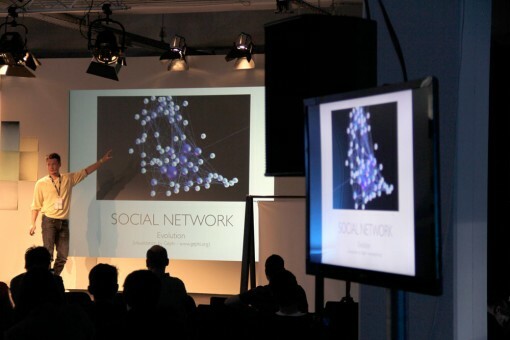 We also demonstrated how trends, rumours and ideologies are generated and proliferated through social networks. We also showed how information becomes viral and what one can do in order to increase the message’s contagious potential.